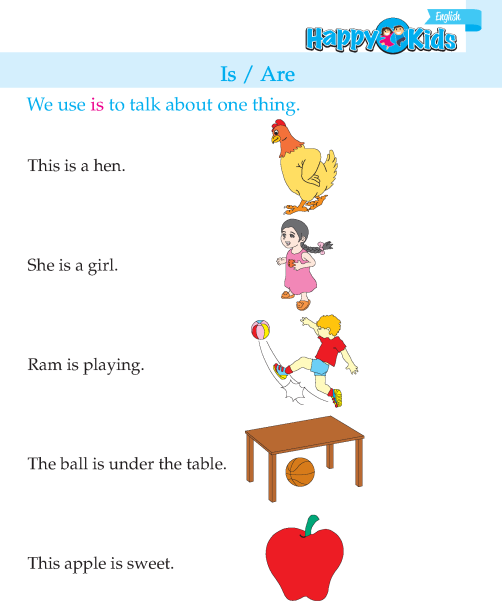 Fill in the blanks with is or are. 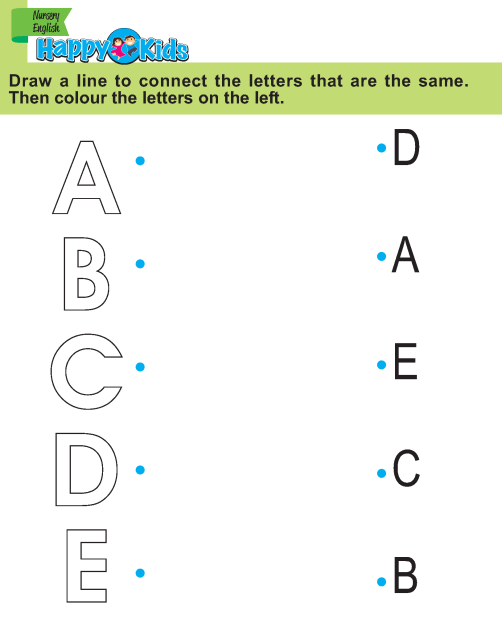 Match and circle the same letter. Match the word with the picture. 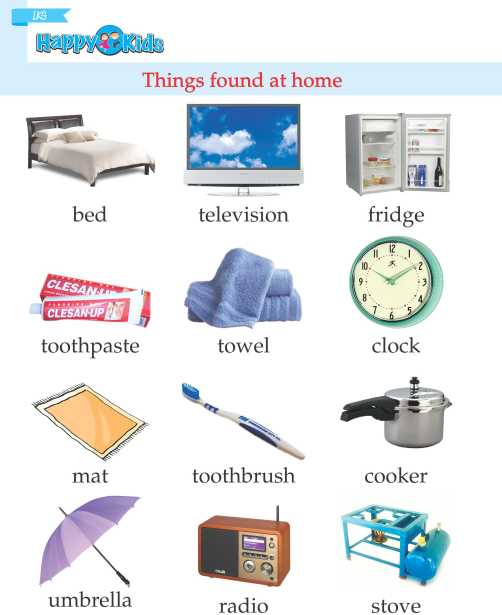 Things found at home Loot at the pictures and complete the puzzle. 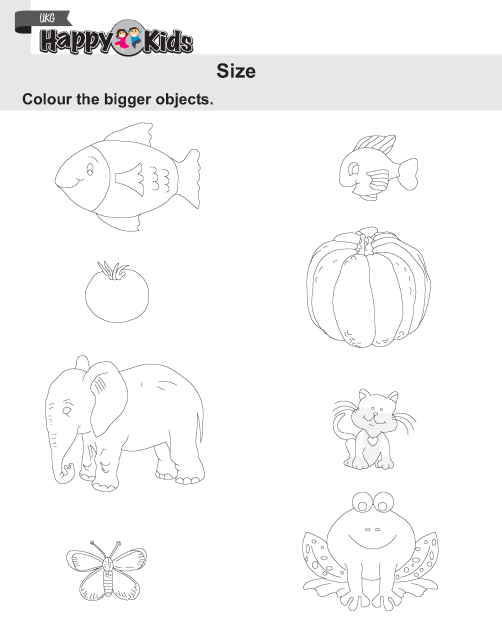 Colour the bigger objects. Tick the smaller object. 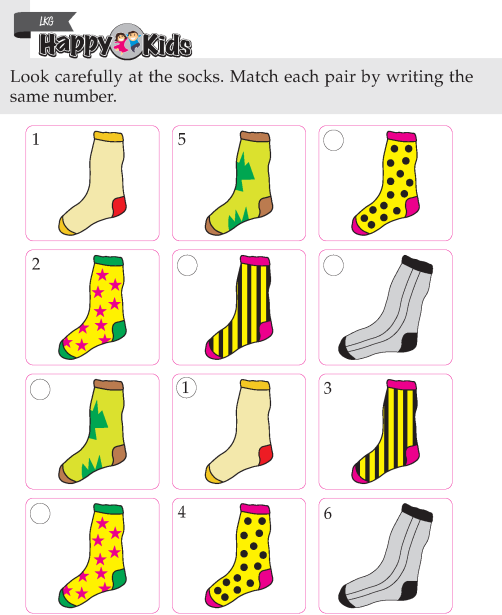 Look at the pictures and match each pair by writing the same number for same things. 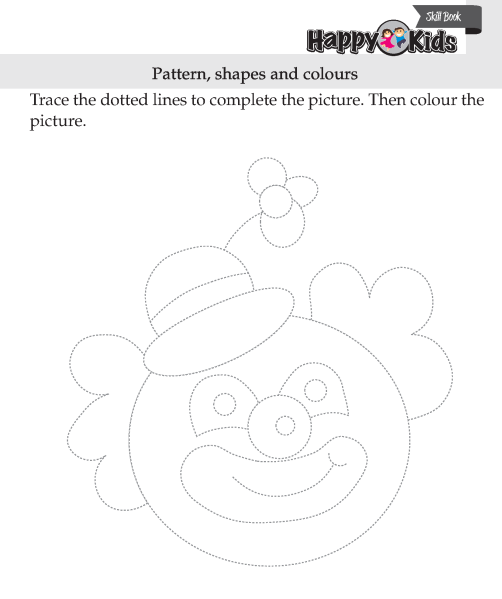 Trace the dotted line to complete the pictures. Draw picture using shapes. Colour the shapes. 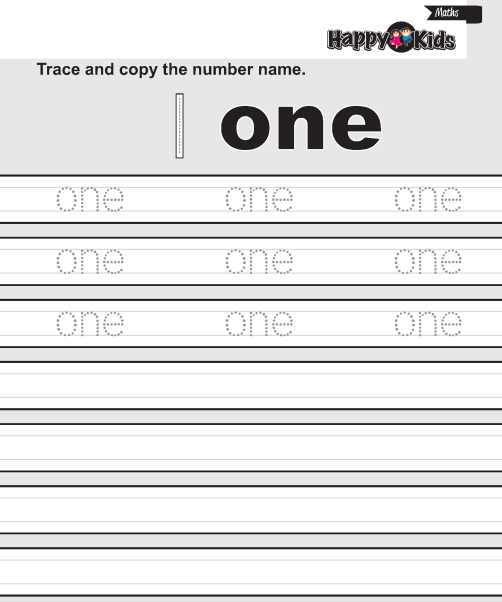 Trace and copy the number name. 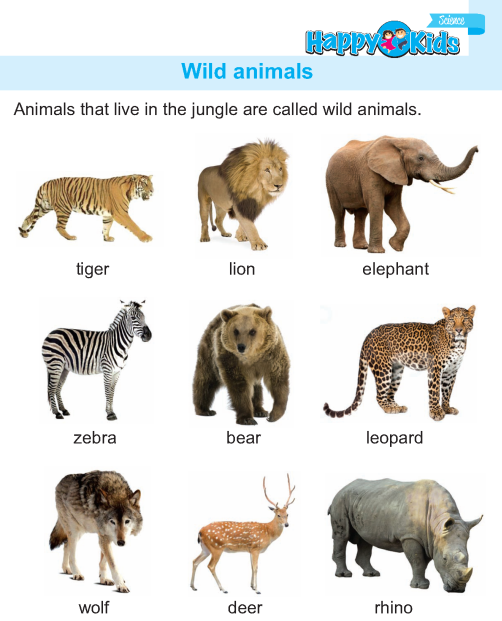 Wild animals Put the animals in correct place. Trace and colour. 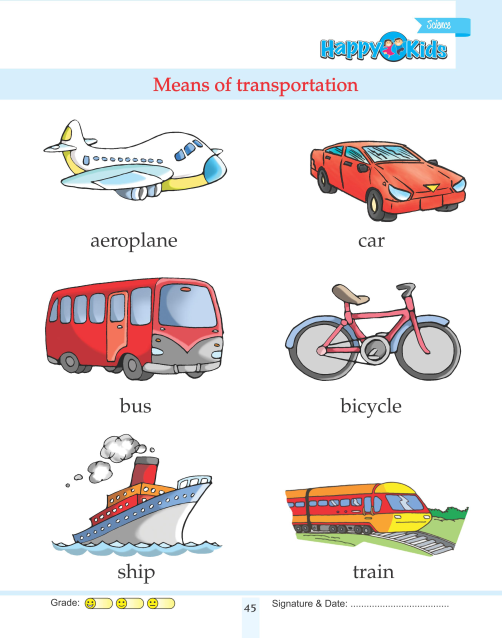 Means of transportation Match the word with pictures. 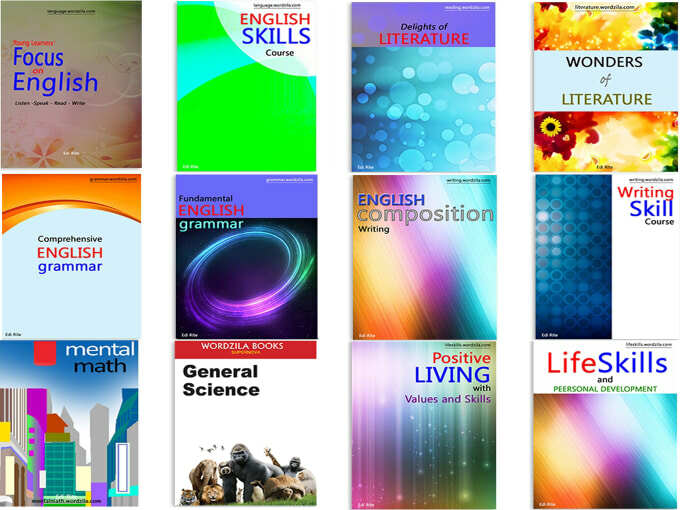 Copy the word in the boxes.